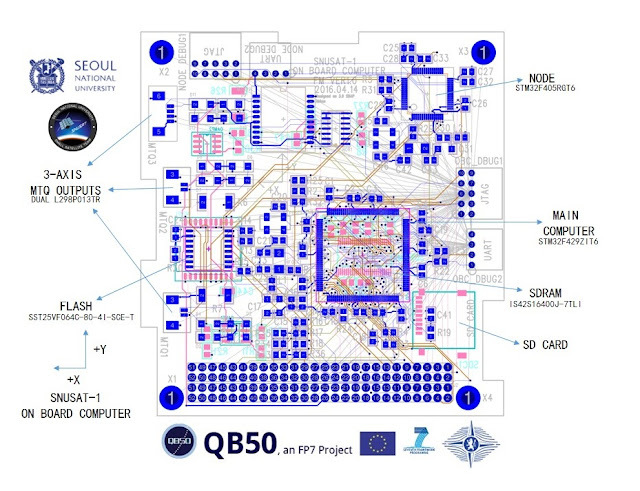 I presented a paper on On-Board Computer hardware design at Korean Society for Aeronautical and Space Sciences (KSAS) Fall Conference yesterday. What I noticed was a lot of cubesats that are being developed are slowly incorporating ARM Cortex-M4/7 architecture instead of power hungry FPGAs and I can see why. 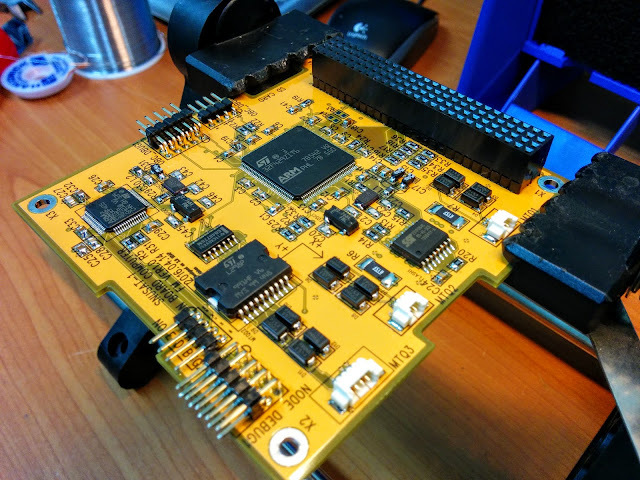 The processor architecture has a range of peripherals, runs at 180MHz> while consuming, in case of STM32F429ZI, only a fraction of what FPGAs normally consume. If embedded systems are your cup of tea, here's a link to draft copy of my paper and should be up in google scholar soon. Seoul National University is developing an On-Board Computer (OBC) based on ARM Cortex M4 processors from STMicroelectronics. The microcontroller (MCU) has the capacity to run at 180MHz maximum frequency, has a Floating Point Unit (FPU) and has a performance of 225DMIPS. The nominal power consumption while all peripherals are activated is 323.4mW and can has low power modes to conserve power. The processor is supported by a flight tested STM32F405RG processor as a node for in-orbit firmware update and fault detection. The OBC also features as the Attitude Determination and Control System (ADCS), and has an 8MB SDRAM for dynamic data while supporting 8MB of flash memory and backup of 4GB memory through microSD card. The ADCS can drive up to 4 magnetorquers (MTQs). The OBC has a flexible design and the same design has been applied for imaging payload.